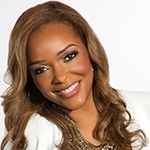 Lady Emmy is an internationally renowned beauty and lifestyle expert, media personality, writer, and entrepreneur. She is a sought after speaker on beauty and lifestyle. She is also a passionate advocate for women and youth. Since 2005, Lady Emmy has been an on-air beauty and lifestyle expert for NBC and other TV networks, providing beauty, lifestyle, and wellness segments on products by a variety of global companies. Lady Emmy wears several hats and wears them all with incredible finesse. She is celebrated for her exceptional lifestyle and wellness tips which she shares with her avid followers via TV appearances on some of the most prestigious network channels and on the radio. Lady Emmy is the Beauty Editor-at-Large for Hope Magazine. She is also an on-air lifestyle expert for WDBR Radio. As an entrepreneur, Lady Emmy is the CEO of Lady Emmy Enterprises, Inc., a multi-dimensional business entity. She also founded LADY (Ladies for Advancement and Development of Youth), a national non-profit organization for girls and women. She most recently launched Pretty Beautique, a global beauty website and company. Using her unique background/experience as a board certified family and relationship counselor, Lady Emmy has earned the respect of educational, entertainment, and non-profit communities. She has spoken across the country to many women and youth. Her speaking topics include self-esteem, inner beauty, preventing violence against women, and living life with passion on purpose. The strength of her message resonates with women of all ages. Specializing in a variety of lifestyle topics and issues for women and family, Lady Emmy has spoken for the NAACP National Convention (Youth and College Division), the City of Philadelphia (Mayor’s office), New York State Office of Children and Family Services, National Urban League, Congressional Black Caucus, VISIONS Women’s Expo, Black Women’s Expo, Radio One Women’s Empowerment, various other women’s organizations and events, as well as many wellness and lifestyle expos.